From the outset, this book has evoked strong responses. Its central claim is that given a comprehensive theory of inferential communication, there is no need for a special theory of translation. This has been praised by some as "wise and right" (Dell Hymes) and condemned by others as "astonishing, not to say perverse" (Kirsten Malmkjaer). 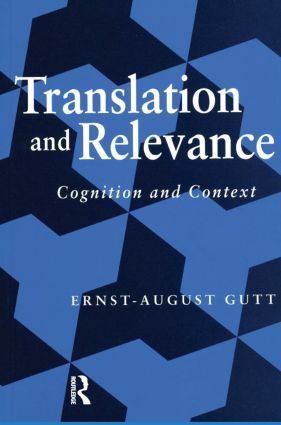 Gutt's call to move from semiotics to an inferential paradigm of communication remains a challenge for many. The debate continues and so does the demand for the book, resulting in this second edition. There is a 'Postscript' entitled 'A decade later', where the author addresses peer criticism, especially from those involved in the movement of 'translation studies', and attempts to bring out more clearly the unique mandate of translation. New perspectives, such as authenticity, are also introduced. Marginal notes, some tongue-in-cheek, liven up the discussion and new references ensure its currency.